Often people wonder why they need to pay a consulting fee to their cosmetic surgeon. During a consultation very often cosmetic surgeons don’t charge a dime and this gives rise to the ire in the minds of those that pay, what exactly did they pay for? Why did their doctor charge them money? Why didn’t the other surgeon charge? Aren’t free consultations always better? The answer to the last question can be something like this. There is no such thing as free lunches so free consultations wouldn’t do you any good. People hesitate paying because they feel anything free of charge must be better. But it isn’t so. But here is what you need to understand, if you pay nothing, you receive nothing valuable. Apart from not making the whole exercise a business transaction, consultation fees ensures, that doctors feel that they have been compensated for their time and expertise, just like any other highly-trained professional would be. Having a consult fee also ensures that a prospective patient is serious about having the procedure, which makes the consultation a far more productive experience. 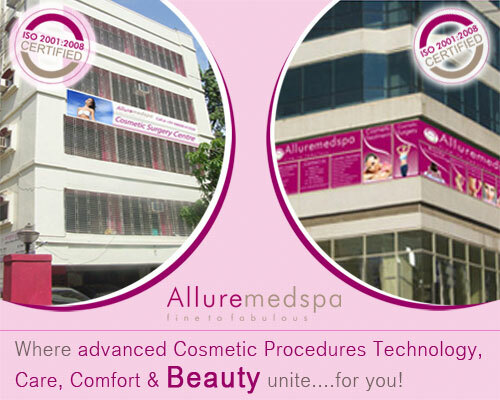 At Allure MedSpa we do charge a consultation fees but we make sure that a patient is not only assured of the best treatment, but they are also under the most capable hands. The amount you pay will benefit you in the long run and would only help us, help you.